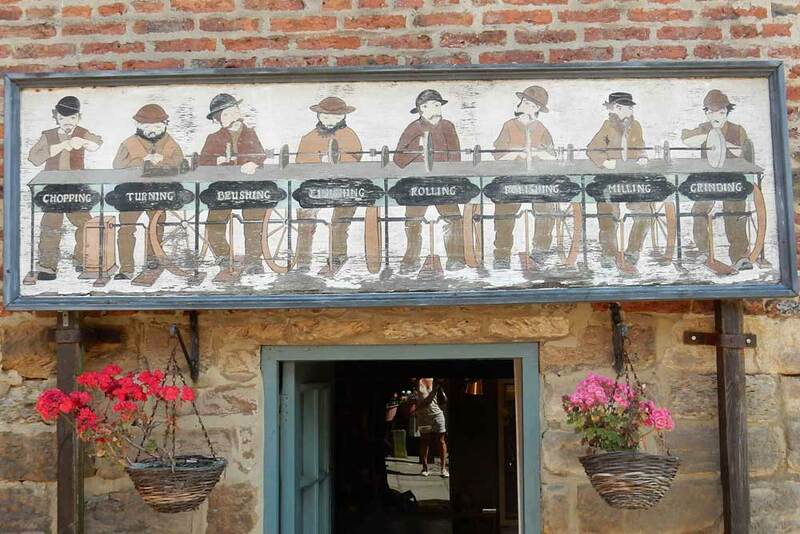 Explore Whitby town centre with two self-guided heritage walks with a treasure hunt theme. 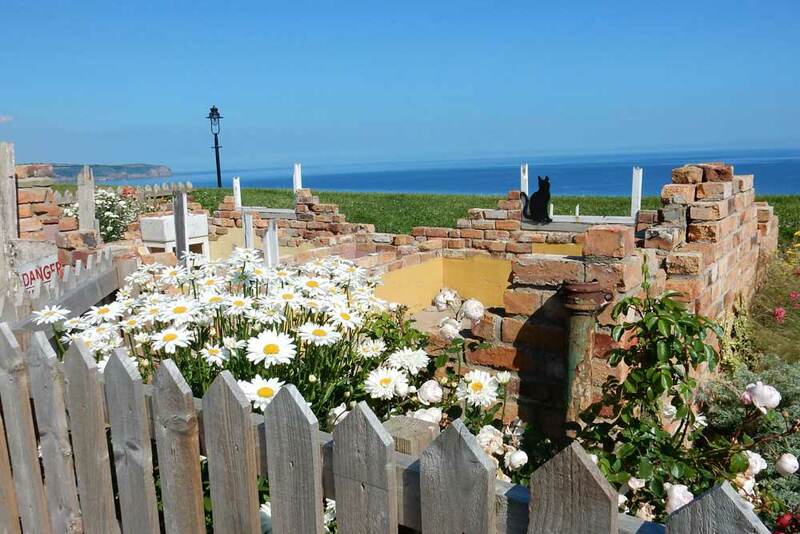 Discover Whitby's "hidden treasures" whilst having a fun day out with family and friends! 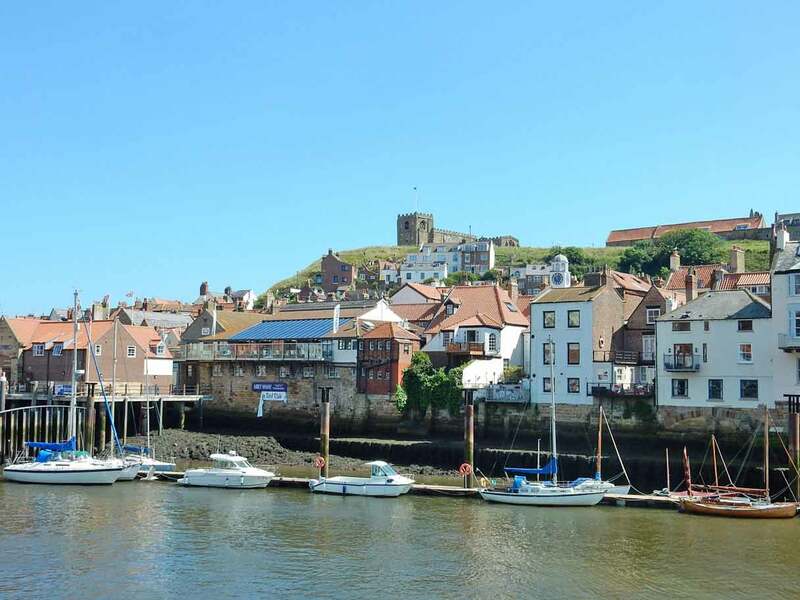 Whitby is the perfect base for a family holiday with Blue Flag beaches on both sides of the River Esk. On the east side is a sheltered sandy beach and on the west side is a larger sandy beach with colourful beach huts, a children's paddling pool and donkey rides. From its historic harbour galleons still sail, as well as fishing boats, pleasure boats and lifeboats. 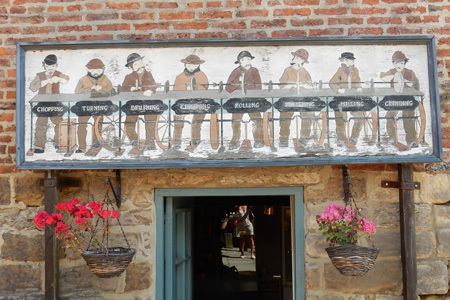 There are quirky shops to visit, narrow streets to uncover, jewellery made from Jet to be seen in shops which still mine it, kippers to be sampled at shops which still smoke them, 199 steps to climb to an ancient abbey, and a park to explore for those who are curious! 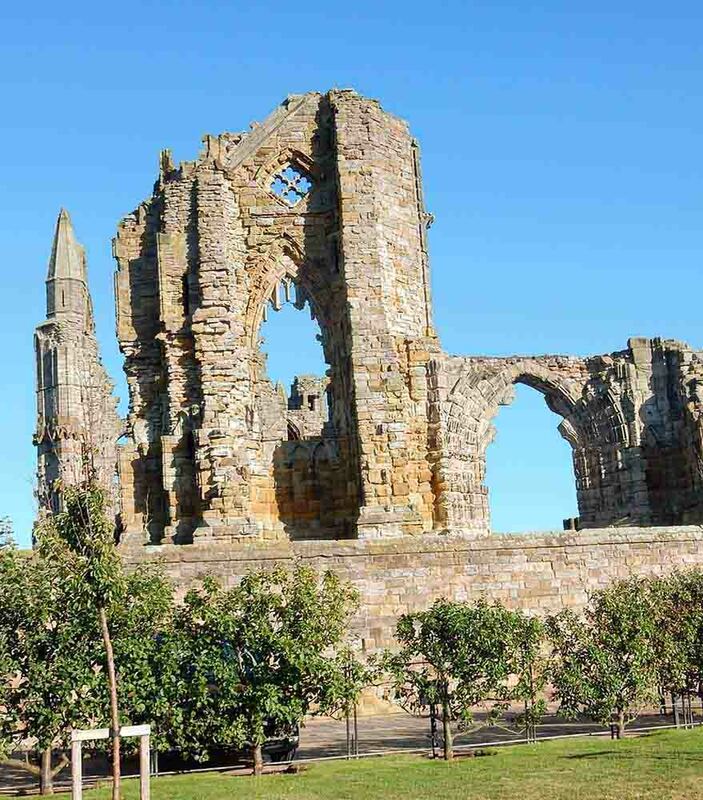 An exploration of Whitby's town centre with two self-guided heritage walks with an optional treasure hunt. 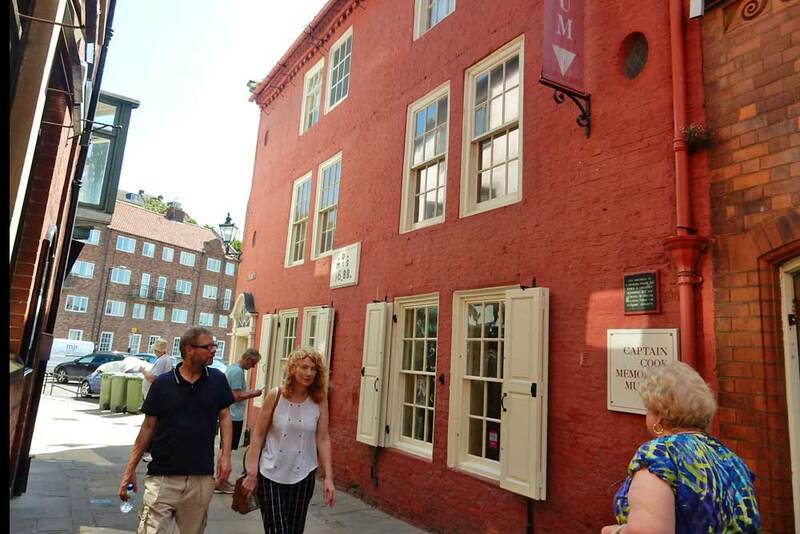 Completing the treasure hunt keeps everyone actively engaged, and urges you to look up, down and every-which-way - so you won't miss out on any of the town's treasures. Most clues are chosen for their historical value, so you'll learn about the diverse culture, significant people and extraordinary events which have influenced Whitby in becoming what it is today. This is an outdoor, unsupervised activity - so you can go at a pace which suits you, whilst keeping you healthy! The two walks have been designed so that the second one follows on from where the first one ends. Do both, or have a breather and do the second one another day! 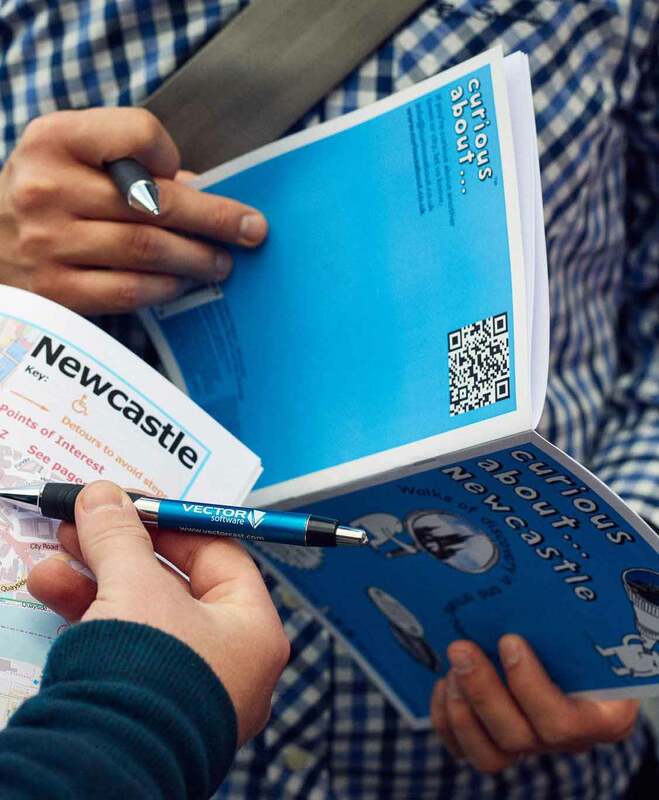 They both start and finish in the heart of the town - so buses, trains and car parks are easily available to get you there and back. One booklet is suitable for up to 4 people, and is available to instantly download on purchase for printing at home or for using immediately on your mobile device, or we can print it for you and send it using 1st class Royal Mail. Two walks are included in the booklet, the 2nd starts where the first finishes. From an early 19th century lighthouse walk along West Pier with its stunning views of the town, bustling harbour traffic and the open sea. 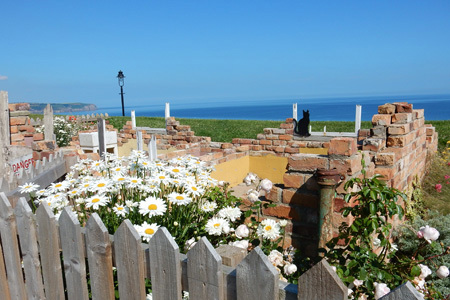 Climb up to Captain Cook gazing out to sea, and visit the glory of Whitby Pavilion. Next take a stroll along the promenade before plunging back through a tunnel to the busy harbour restaurants and bars. Finally, escape the bustle of the town to end at Pannett Park with its museum, flowers and delightful walks. From a charming lily pond in the enchanting Pannett Park you’ll explore an historic train station before surveying the river with its fishing boats, pleasure boats and lobster pots. Next cross a swing bridge to the other side of town, with its myriad of small and quirky shops specialising in Jet. 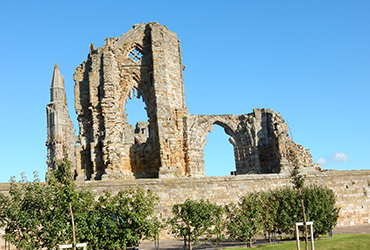 Finally, take the 199 steps up to a glorious church with stunning views, to end at the ruins of the dazzling and iconic Whitby Abbey. Each booklet is A5 size. You can: a) download to your computer & print; b) download to your phone or tablet (different format) & use directly from there; c) order a pre-printed copy which we post to you. Each has a page dedicated to the history of the city; 2 pages summarising each walk with suggestions re what to visit along the way. Walk 1 has 21 clues & walk 2 has 14 - both with detailed directions to follow. There are stories about important people, places & events along the way; detailed instructions how to find a clue if you're stuck; a comprehensive map with the routes marked on. When you click on the Add to Basket button a pop-up asks if you want to checkout using Stripe (default) or Paypal, or continue shopping. If you decide to checkout you are taken through payments via a quick & secure process managed by a third-party company called SendOwl. At the end of the payment process SendOwl will email you a confirmation email (inc download link if relevant). Download files are typically between 3 and 6 mb. You have 14 days to complete your download, and up to 3 attempts are permitted. If you buy the print-at-home version you will need to print it on normal A4 paper and the email you receive, with the download link, explains how best to fold the pages to make it into an A5 booklet. If you buy the download to mobile version you will need pdf reading software on your phone or tablet, eg using the Adobe Acrobat App (free). Please see our FAQs page for further information. The booklet has a flexible cover, which has been professionally printed. The inside pages are printed to order, to ensure that they are as up-to-date as possible. We post booklets out 1st class Royal Mail, usually the same, or next working day. A postage & packing charge of £1.49 is made for 1 or 2 booklets within the UK. 3 to 6 booklets it's £1.99, and after that it's £3.99. Outside the UK it's £2.49 for 1 booklet, £3.49 for 2 booklets, £4.99 for 3 to 6 booklets and £7.99 after that. 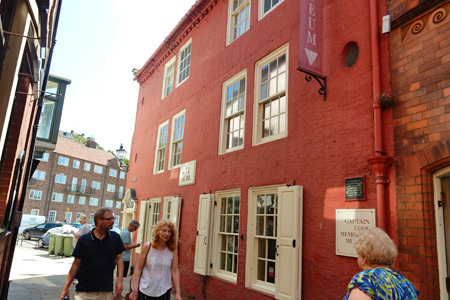 If you are enrolled in the Children's University you can now gain hours towards your next award by completing one or more of our many Curious About walks. Please note, for safety reasons a child should be accompanied by an adult, either parent/carer or person in loco parentis. Also, the booklets may require a degree of interpretation by an adult, as well as support and guidance. Buy the download or booklet (which will contain two walks). Complete one or both walks in your own time. Complete one form for each location (eg Whitby). Let us know one additional interesting fact you discovered along the route for each walk you complete (this provides proof that you did it / them). We will then send you an email with your sticker, which you can print, cut out and stick in your passport. Hours awarded will equal those shown against each walk. "Whitby's not very big, but we got the impression your two walks extracted out from it everything there is to know, but in a short space of time. We loved the walks by the sea (real donkey rides on the beach! ), the 'hidden' theatre, the beautiful park with its museum and the splendid abbey and church on the hill - not sure we enjoyed the long walk up the steps... but fantastic views from the top!" "Excellent product by the way, really informative and ideal for orientation when visiting a place for the first time."